Many of you may scoff, but Raisinets used to be my movie candy of choice. While my parents favored confections like Milk Duds and Sugar Babies, I would be downing the Raisinets like there was no tomorrow. I used to even buy a box when I rented a movie. I was bewitched! 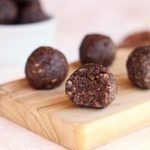 I wanted to pay homage to my candy obsession by making it into a raw truffle, primarily highlighting the flavors of the chocolate and the raisins. 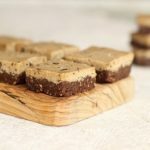 Paired with oats and pecans, these soft, delicious bites have been my go-to snack-slash-dessert as of late. The California Grapevine crooners would be so proud. In your food processor, grind the oats into a flour. Add the pecans, and process them with the oat flour just until they are a meal consistency. Add in the raisins, cocoa, salt, and two teaspoons of coconut oil. Try to form a ball from the dough. If it appears to not be sticking together well, add one to two more teaspoons of coconut oil as needed to create a sticky dough. Form one to two inch-sized balls from the dough (I made about 12). Refrigerate the truffles for a bit until set. Enjoy! 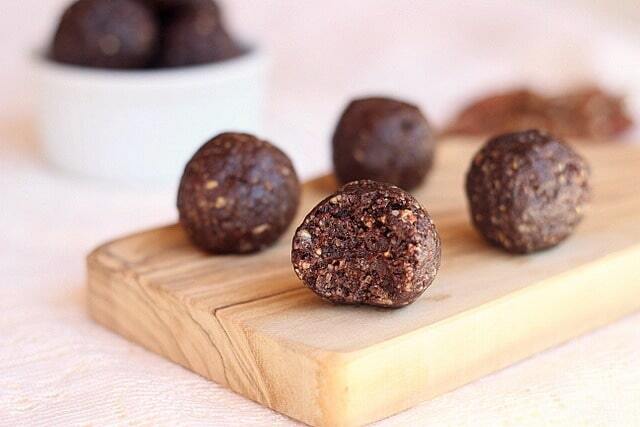 Keep the truffles in the fridge for best results. 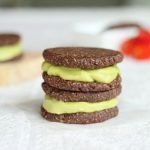 I like to make a big batch of these and snack on them throughout the week. 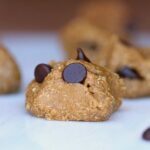 They make a great whole food, sugar-free treat! What’s your favorite movie candy? 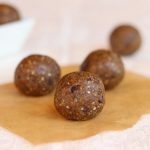 I have been noticing a lot of oats used in ‘raw’ food items. Is this digestible? I actually asked my local ‘health food store’ owner…..she looked horrified when I asked her if you could actually eat raw oats or raw oat flour. I’ve never had any trouble with eating them raw, and I would assume the oat flour sold in stores is ‘safe’. If you’re really weary of it, maybe try buckwheat groats? These look yum. I have pinned some of your great recipes for later! Thanks Sandra! 😀 I hope you enjoy anything that you try! These look and sound delicious. I will be trying them. 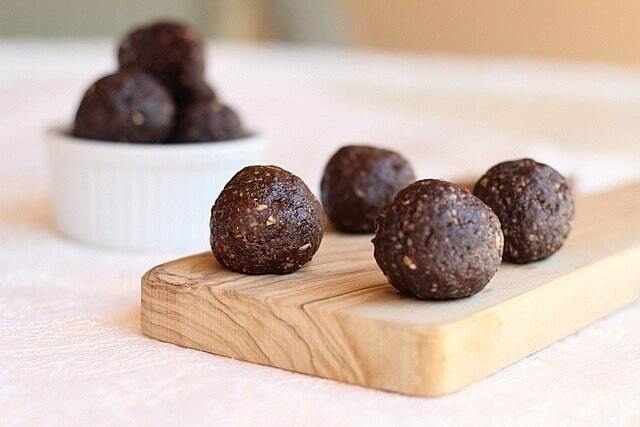 Well these truffles make my mouth water. Thanks for sharing the recipe. Gotta try this at home! Mmm yum, these look gorgeous. 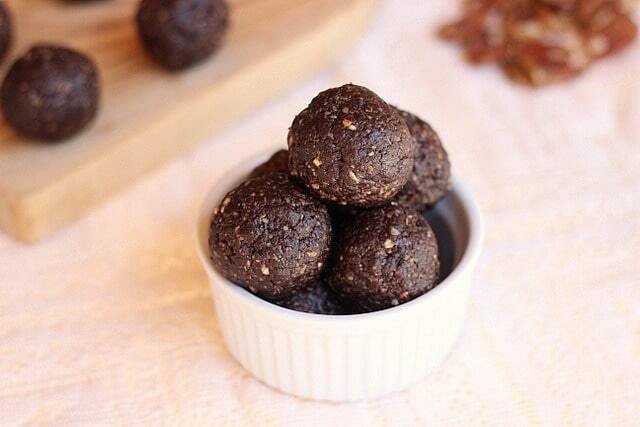 I adore truffles and I love the simple healthy ingredients list. Yum Lauren! These look so good! I used to always get Raisinets at the movies too. Haven’t had them in a long time though since you can’t really get them here in Germany so I will have to try out these truffles as a replacement! Thanks for the great idea!! Junior mints! And snickers bars:) I’ve made these with dates, but not raisins … I will make em this way next time. I’m craving some right now! Could multi colored raisins be used, or are the regular black ones best for this? I’m with you! Raisinets and Junior Mints! Yum! I’m not a big candy lover but I have always loved raisinets…will have to try this out!